The beauty and cosmetics industry is expanding at a phenomenal rate. Things are positively exploding, with new companies and innovations appearing on a daily basis. Some are fads which burn out, some are companies who don’t survive the competitive, cut-throat world of business. One of the companies which help us feel and look young is Aveda. And it does it while using some of the planet’s most therapeutic substances. Here is our take on this company and its products. 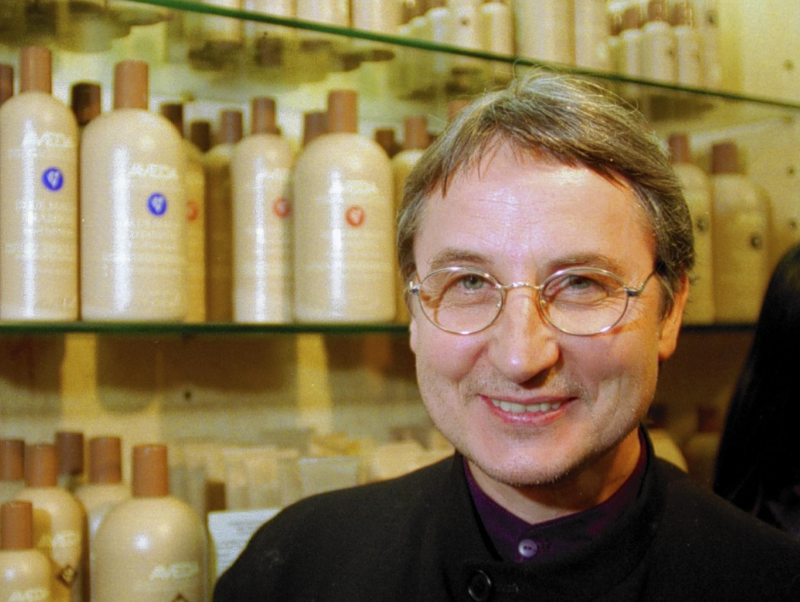 Aveda was founded in 1978 by Horst Rechelbacher (1941-2014), who visited India in 1970 and became increasingly influenced by traditional Ayurvedic healing practices. Rechelbacher had grown up across the street from a salon in Nazi-occupied Austria, and was certainly intrigued by its activities. At age 14 he began an apprenticeship with a local hairdresser. At age 17, he moved to Rome, Italy, and continued his work in some of the best salons in the city. At age 22, Rechelbacher moved to New York and began touring extensively throughout the United States. After listening to the Swami Rama speak at the university of Minnesota at age 29, he followed him back to India and stayed there for several months. At the time of his stay in India, Rechelbacher formed an idea for a new cosmetics company, which will manufacture and distribute all-natural hair care products. He went to work, and the very first product he manufactured was a clove shampoo, which he made in his own sink. The rest of history. The company has been growing ever since, and has become an industry leader. Nowadays, so many years later, Aveda is part of Estée Lauder. The company was sold to the conglomerate in 1997. Rechelbacher continued to act as a consultant for the company until 2003. During those years, Rechelbacher became more aware of the effects of the cosmetics industry on the environment. As a way of moving forward, Rechelbacher established Intelligent Nutrients (IN) – a company which bases its hair, face, skin, aromatherapy and wellness products primarily on organically grown ingredients. IN manufactures organic, non-toxic, and plant-based products. Throughout his later years of life, Rechelbacher was an advocate for truth in marketing, and he came out against companies who falsely claim organic status, and who mislead the public with their labels and ad campaigns. The founder died in 2014. The company carries on! I went to an Aveda Salon in the south of New Jersey recently. The prices at Aveda places tend to be higher than ordinary salons, but I knew that going in. Usually, in the world of beauty and wellness, you get what you pay for. This has been my experience. The extra money will often get you some extra quality. Some Aveda salons carry exclusively Aveda products, but this was one which had one other brand there, (also a natural one, I think). The cut, color, and texture of my hair was great when I left several hours later. I knew what I wanted when I walked in there, and I was so very happy with the results. I can’t say if all Aveda salons are like this, because I haven’t been to them all. The ones I have been to, though, have been very courteous and professional. Obviously, there will always be differences between places: owners, managers, staff, etc. From the location and amount of parking, to the line of people waiting to be beautified – every salon is unique, for better or worse. Those who carry the name of the company carry the products, receive special training and an ongoing education by Aveda reps, and abide by the corporate’s guidelines. My experience was a positive one, overall, and I am definitely going to get myself back there when the color starts to fade or when I feel I need a change. 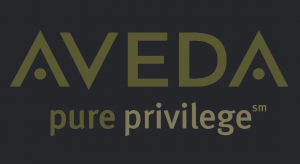 The Pure Privilege rewards program operates like a kind of Aveda club. Customers pay a one-time enrollment fee of $10 to become members. 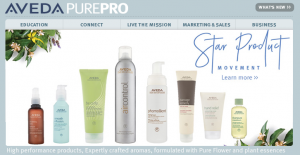 Once they are members of the program, they earn points for every product which they purchase. These points can go towards buying more products, and participating in special events. Rewards range from products like a compact or lip glaze, through oils and moisturizers, and right up to hotel stays in the UK and visits to the Pacific Marine Mammal Center in California. Is it worth it? Well, if you find yourself buying a lot of Aveda products as it is, it may definitely be worth it to invest the $10 and become a member. On the other hand, if you don’t see yourself spending too much at the Aveda shops or website, and are only an occasional user of their products, it may not be worth the effort. I will say this: a one-time fee of $10 is definitely worth it on a lot of levels. If you like their products, support their cause by joining the program, and get a chance to take part in its exclusive offers. 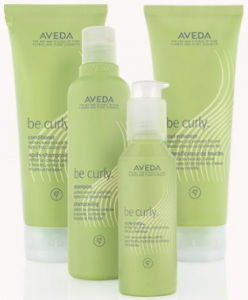 Over its 40 years of existence so far, Aveda has accumulated an extensive catalog of products. These include hair care, hair styling, skin care, body care, makeup, essential oils and aroma therapeutic products, and a line which specifically targets men. The men’s line includes similar products to the women’s line: hair care, hair styling, skin care, body care, aromatherapy-related products, and shave-related products. Different collections exist for the men’s line. This series is all about reducing frizz and keeping hair straight and smooth. Whether you use hot implements like a flat iron or the classic comb and brush, it is easier to keep your hair tamed when you have some natural assistance. 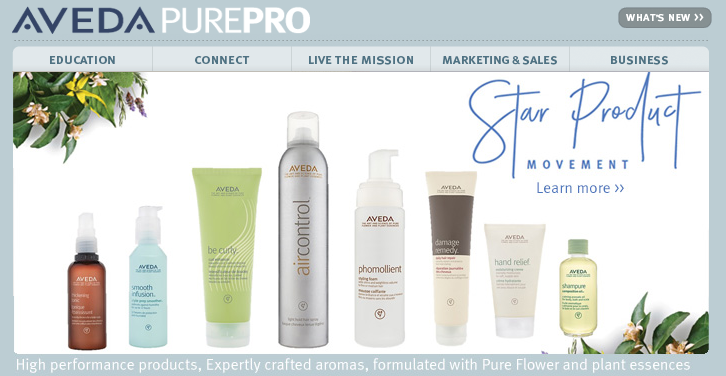 This line includes shampoo, conditioner, hair masque, styling cream, and a style-prep smoother. These are geared towards those who straighten their hair, and are interested in curbing the curl and frizz factor. It gets the job done, but as always it is a question of amounts. Quantities depend on your hair care routine, on your method of straightening, and – obviously – the length and thickness of your hair. Some of these products take more time to get used to, but the styling cream for instance? I got it in there before applying heat, and my hair felt and looked great. I used the blow dryer for a minute (low setting, of course) and I was out the door, and ready to conquer the world. And as an added bonus I walked out into the rain. I love the rain. I never get tired of coloring my hair or experimenting with its length and features. I’ve been doing this since I was 15. Let’s just say that was over half a lifetime ago, and I stick to it. Aveda has the full-spectrum hair color line, and the salon-based face-framing eclipting technique. The latter is a service the salon provides – a color which is personalized for you. 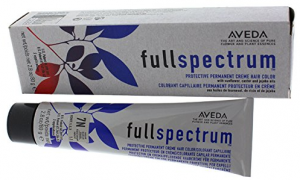 Whether it is permanent coloring or just glossing, Aveda salons have got you covered. As for the full-spectrum color itself – that is, the kind you can buy and do at home – The last time I did it was just over two years ago, I think. I had dyed my hair pastel blue and light violet. This isn’t out of the ordinary for me. I like experimenting, as I mentioned. I could be with the same hairdo for some months, then suddenly I would get a craving, chop some of it off with scissors, spend a few minutes styling it quickly and evening it out, then dye it. When I arrived at the salon in Jersey, I still had the faded light hair under the new growth of hair from the last 26 months or so. The hairdresser who took care of me was precise and on point. Alright, people, let’s get the obvious stuff out of the way. You cannot bring back fallen hair with hair care products. You may be able to strengthen and repair damage to existing hair, but you can’t make fallen hair thicker and fuller. The scalp goes through many changes in life, and this also has to do with what we eat and how we conduct ourselves. 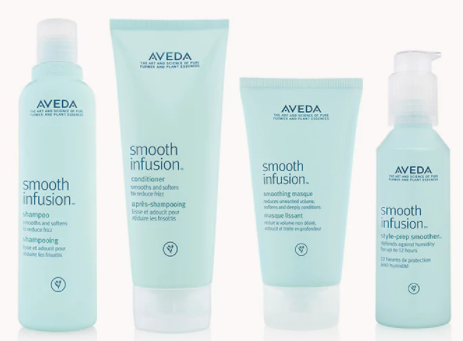 Aveda released this line for thinning hair back in 2012, and it revitalized it in 2016 with additional products. I tend to be skeptical of anti-hair loss products, since many companies tout them as miracle workers, and I don’t appreciate that as a consumer. Aveda was up to something, though. It is true that many women – and men! – are not getting the treatment they need for their thinning hair and weakening scalp. One great thing Aveda did, they added turmeric to their natural hair-strengthening line. This was a major upgrade. Say what you want about alternative medicine and the like – turmeric has proven itself worthy of every praise. 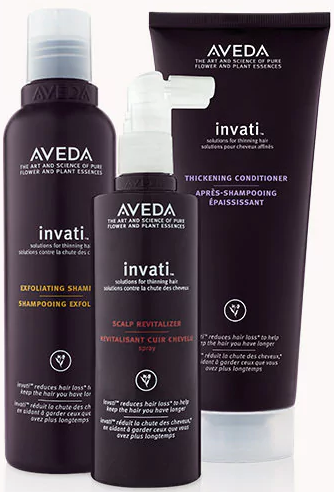 So, it may not be a miracle worker, but the Invati hair care line knows it is doing, and it is helping countless individual on their path to stronger, thinker hair. Invati Men, the corresponding men’s line which includes similar products, was launched in 2016, and has been gaining followers around the world. When I was little, I was devastated to realize that I had inherited my father’s hair. My mother always had amazing curls, and I remember wanting them for myself. As a girl of six, I was annoyed with my father for a while over that. I grew out of it. Thanks to me and my big mouth, my mother uses some of the be curly products on a pretty regular basis. It can be difficult for certain products to accommodate the proper definition and intensity that tight curls demand. Be curly manages to nourish the hair and clean the scalp. And the spray! My mother’s go-to. She’s about to leave the house? Bang, she takes the spray and gives the hair a good once-over. The shampoo and conditioner are a good combo, though she does add a few drops of tea tree essential oil when she uses the conditioner. She likes the way it sets her hair up for the day. That or peppermint, depending on what she has at the time. Pure Pro is a network of hair styling artists, salons and their owners, and the like. It is a more business-oriented side of Aveda, yes, but it is also one which is quite personal. It keeps Rechelbacher’s dream of marrying East and West alive, and this is done by constantly bringing new professionals into the company’s ranks. Aveda offers education in the form of beauty schools, training workshops, and YouTube clips. Plus, every Aveda salon has a development partner which helps to grow in accordance with Aveda’s approach to beauty and business. 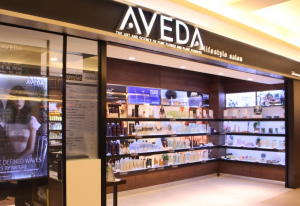 Is Aveda Cruelty Free? Does Aveda Test on Animals? Aveda is a leader, and as such it helps to create positive change by setting an example. Aveda does not conduct any animal testing, nor does it sell its products to mainland China, a country which mandates that all imported cosmetics be tested on animals. The products themselves are not certified vegan or vegetarian by any official government agency, but the majority of their products contain no elements sourced from animals. On the other hand, since it was sold to its parent company in 1997, many have claimed that it is no longer cruelty-free. Since the sale, the company has also garnered some unwanted attention due to the legal controversies and disputes. Their products are not certified vegan, but the ingredients list usually doesn’t contain any animal-related products. Maybe one in a few product does, which is probably why they are not certified as vegan or cruelty-free. Their parent comapny, Estée Lauder, undoubtedly wants to keep its options open, and I understand that. Like I mentioned just now, some users are not accepting this. I am not here to argue one way or another. The products themselves are natural, and they work. The moral issues concnerning animal rights are real, but since things of this nature are always in motion, I understand why Aveda is not certified by any external group of agency. 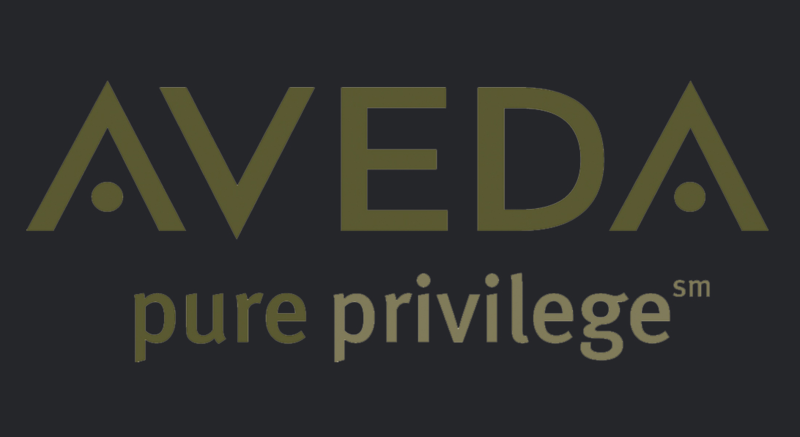 Aveda’s products are based on ancient Indian traditions. I love the Indian vibe. And I love the way Aveda’s products help my hair feel. It doesn’t just take care of symptoms. When used properly, you can seriously feel the difference when you are using their stuff. 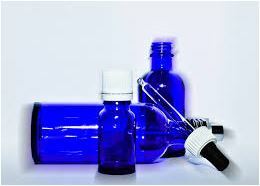 And I like to add a few drops of my favorite essential oils to the mix of hair care products. This company has been around for 40 years, and it is continuing to innovate and shoulder its responsibility. The business aspect of it is not my business. I don’t know much about the world of acquisitions and finance. But I do know what looks and feels good. Aveda’s products can do a lot for you, and they do it a gentler way then many other products. No irritants, no aggressive chemicals. I have no doubt that, unless something drastic changes, I’ll be returning to Aveda products again and again. Especially their dreamy hair colors. Read about Castile Soap and Honey Health Benefits while you’re here at Innovative Private Label!